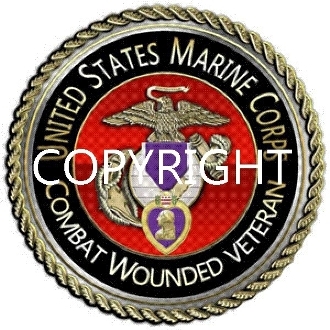 Our EXCLUSIVE Purple Heart Branch of Service Mouse Pad. Measures 8"Circle and is 1/4" thick. Our photo quality image is baked into the material and will not crack, peel or fade..